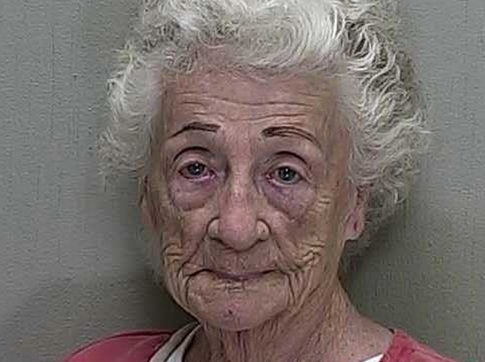 This article comes to you straight out of Florida, where a 92-year-old, yeah son 92, was said to have thrown them hot things at her neighbor for…..are you ready for this, NOT GIVING HER A KISS!!!!! I am floored yo. The article states that, Helen “Top Shotta” Staudinger of Fort McCoy, Florida shot 4 rounds from her driveway at 53 year old Dwight Bettner as he stood in his house, for not giving her a kiss. None of the rounds caught him. This wasn’t the first incident involving the ben-gay bandolero. She was said to have beat down another neighbor because Bettner took out their trash. Say word!!! Call me crazy, but I thought granny’s pond would have dried up a long time ago. Guess not!! Well she was ultimately arrested and charged with Aggravated assault and firing into a dwelling. She is now in jail on a 15K bond and told to have no further contact with Bettner. Let me find out granny had the “Fire and Ice” pack ready and waiting…smh.